I had severe post-natal depression when I had my daughter..i remember reaching out to you as during 3 x 6 week stays in mother baby units they were forcing CIO on me and my daughter. Instinctively I knew it wasn't right for us. Your words gave me the strength to stand up for what I wanted even though I was in the darkest headspace. I have read all your books since and they have been amazing and so encouraging. Reading Pinky’s books while pregnant with our first was a breath of fresh air- they gave us the confidence to follow our hearts (rather than well meaning advice that confused us and just didnt feel right). They have turned into well loved and dog eared reference tools. From sleep, to crying, to toddlers, Pinky has all the bases covered for successful parenting. Thank you Pinky! The confidence your wisdom instils in new mums is parenting gold! An acknowledged saviour of parental sanity Australia-wide, Pinky sagely encourages parents to trust their instincts, and supports gentle parenting styles that are ‘heart’ led. 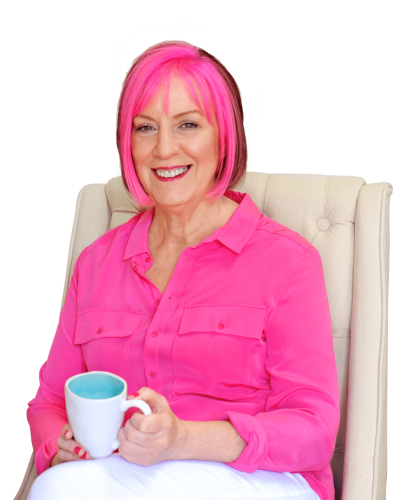 Pinky McKay is a best-selling author with four titles published by Penguin including Sleeping Like a baby, 100 Ways to Calm the Crying, Toddler Tactics and Parenting By Heart. The Australian Breastfeeding Association and La Leche League International endorse her books.